While companies like BMW and Honda let you test ride their motorcycles at any time, here in Canada, Harley-Davidson only allows test-riding on specific dates. Having missed the previous week’s demo at another dealership, I went to HD TO determined not to miss my chance to ride the humble 883 Sportster, a potential future purchase. The dealership was beautiful, spacious, and featured rows of motorcycles well beyond my modest budget. The dealership contained parts sections separated by model and the Sportster wall left me green with chrome envy. We can’t neglect the merchandise part of the store, Helena was cheerful and knowledgeable about all of the branded products. While speaking with her I overheard another customer being rung up for $1,300 in H.D. branded merchandise. The word excessive came to mind throughout my walk around HD TO. 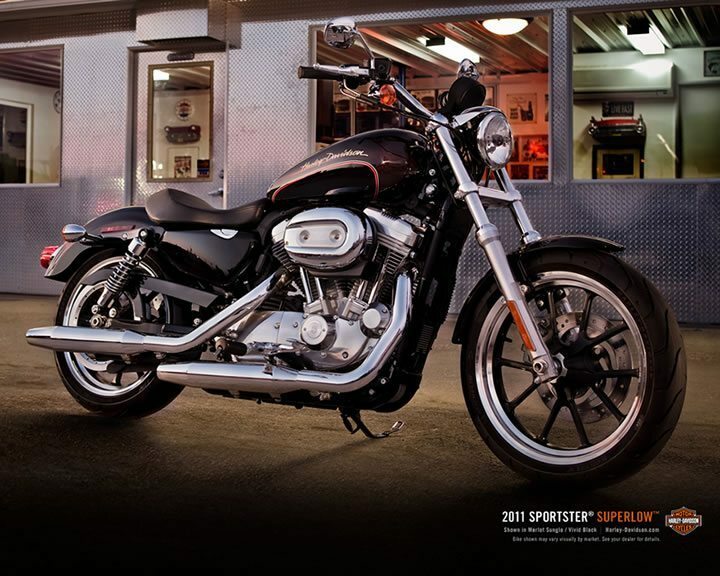 In the end, I did buy a 2007 Harley-Davidson Sportster. Finally it was time to ride. I was assigned to a 2010 Harley-Davidson 883 Super-Low model. Had I known I was getting the Super-Low model I would’ve opted for one of 1200cc Sportys. At just over 5’10” barefoot, the Super-Low with standard pegs was not something I felt comfortable and cool on. To make matters worse, HD TO had their demo day on Thanksgiving Weekend, making for a fair amount of traffic. There was no highway riding on the 15 minute ride, but we had the opportunity to open the bikes up a few times, a hoot on the torque-friendly little Sporty until we hit the brakes a short-lived moment later. I weaved a bit, despite pre-ride instructions not to, and found that the 3″ shorter wheelbase made the Sporty feel more nimble than my Venox without sacrificing stability. Having gotten away with a little weaving, I stood on the pegs and “pogo-sticked” the bike. The Super-Low didn’t flinch, unfortunately our tailgunner was less amused and zoomed up to my side to give me hell. Sorry buddy, but I had to test the short suspension for myself. The rest of the ride was mostly uneventful. I slowly adjusted to the right handed right-turn signal switch, and the self-cancelling turn signals, I’m not a big fan of either. 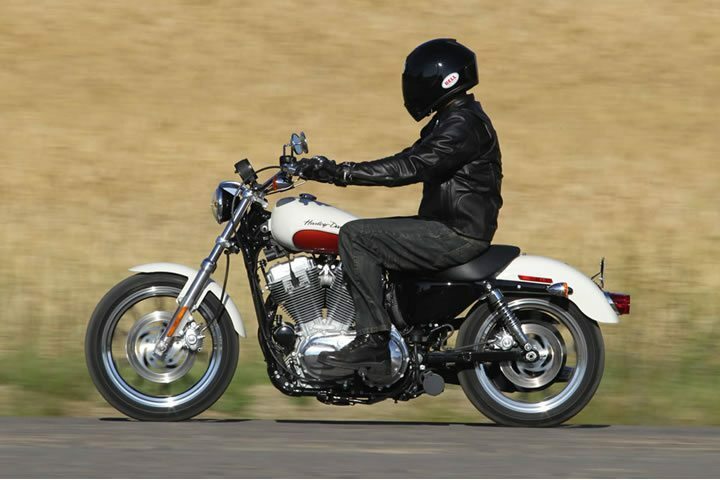 With belt-drive, front and rear disk brakes, fuel-injection, and the expected Sportster personality and power, the Super-Low would be a good bike. Unfortunately, it gave me a cramp in my left leg and I wouldn’t necessarily recommend it. 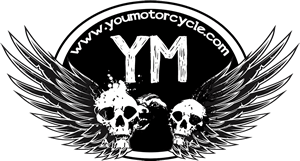 Forward pegs may have eliminated the problem, but instead I bought a 2007 Sportster – a standard model with a tall 29″ seat height. King of the road up on my throne!